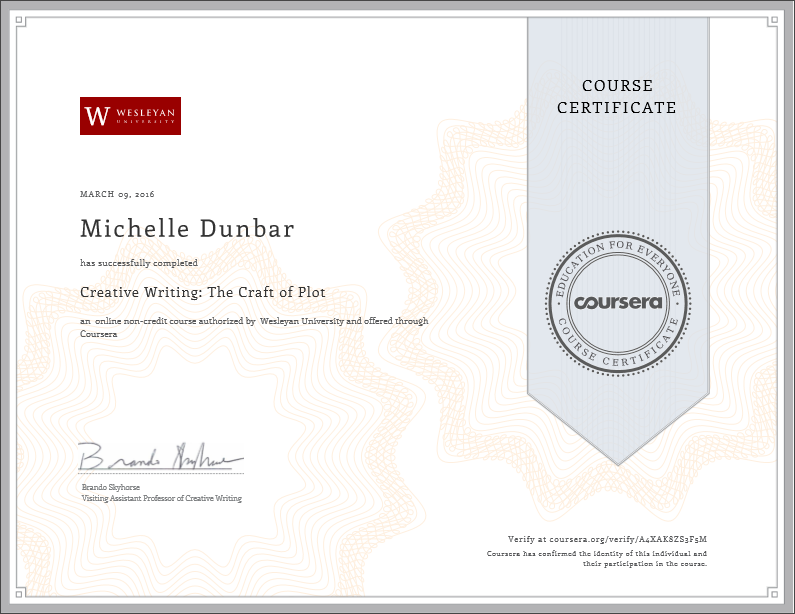 Coursera’s ‘The craft of Plot’ is one of five courses in the creative writing category. I thought it would be a good idea to revisit the basics and also to try and get back into the habit of doing a little writing myself. In order to earn this certificate, I had to pass four assignment (marked by fellow students). It is a non-credit course and has no academic value, but I enjoyed revisiting the subjects of structure, plot/story and show don’t tell.